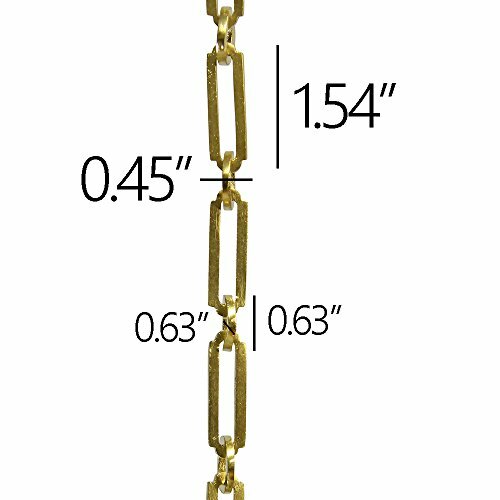 View More In Lighting Chains. Priced by the yard (3ft). Perfect for hanging lighting fixtures, mirrors, frames and planters, making curtain ties and pulls, or any other interior and/or exterior decorating projects. 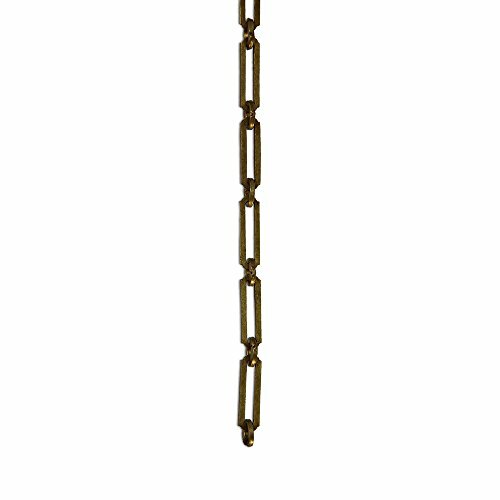 This chain is made out of solid brass, available in a wide array of finishes that do not rust or tarnish. Link sizing (in inches): Height= 1.54; Width= 0.45; Thickness= 0.1 | Connecting Ring Sizing (in inches): Height= 0.63; Width= 0.63; Thickness= 0.12. If you have any questions about this product by RCH Hardware, contact us by completing and submitting the form below. If you are looking for a specif part number, please include it with your message.